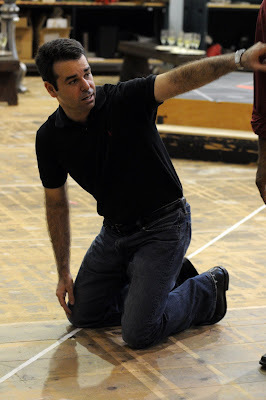 As rehearsals head into the home stretch, it’s time to check in with Tomer Zvulun, our stage director for Lucia. 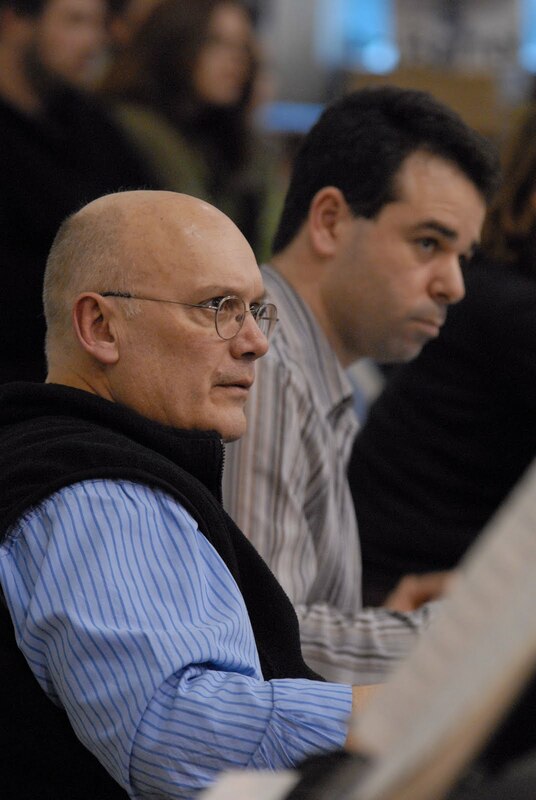 Zvulun, who hails from Tel Aviv, Israel, first joined Seattle Opera in the summer of 2006 as Assistant Director for Der Rosenkavalier. As resident Assistant Director for the next year and a half, he worked closely with many of Seattle Opera’s stage directors, returning as Stephen Wadsworth’s Associate Director for the 2009 Ring, and now making his debut as Director. Tomer, why are you an opera director? Whoa, that’s a big question! As a child, I was fascinated by theater and cinema. I discovered opera later, in my late teens, and when I did it was the biggest revelation of my life. Everything suddenly came together...it all made sense. The combination of story and music, of emotions and orchestration, this melding of thought and melody blew my mind. I realized that that’s what I wanted to do. So I left medical school--even though my parents wanted a son who’s a doctor--and decided to pursue opera. I’ve never regretted it, because every day I discover something new. It’s not only the operas and stories and composers, but all the different people who come together to bring it to life. This is my fifth Lucia,and I’m still discovering things about the characters and story and interpretation because the people are different. And even if they’re not different, like Scott Piper here, who sang Edgardo for me in Cleveland, we’re discovering things we didn’t think Edgardo would do. It’s an endless journey, working on these great operas, and I still I feel I’m at the beginning of it and I‘m completely in love with it. I know what you mean, about the allure of the art form. But why be a director? Instinct, really. When I hear opera music, I get a clear image in my mind of what should happen at that music. And the flip side of that is, when I see things onstage and don’t agree with them, I’m always thinking of alternatives. If that happens in your brain naturally, you should be a director. Also, I believe directing comes from life experience. A director's job is to create life, so you need to live and to see as much as you can. If you are directing La bohème, it helps to know what being broke really means! Or it helps to understand what falling passionately in love is like and then have your heart broken. I am lucky in that I have had a very diverse life experience, growing up in Israel, serving as a medic in the army, and then wandering the world as a young artist. As an opera director, I use this life experience every day. I think that the best education a young director can have is to live: experience as many different cultures and perspectives as possible, and then figure out how to transfer that accumulated knowledge onto the stage. That furthered my education as much as working with directors around the country--such as my experience here in Seattle with great artists like Stephen Wadsworth, whose goal is always to bring this kind of life, this reality, to the opera stage. By now you’ve staged each scene in Lucia, and are going through and refining your ideas. How’s it going? I love working with this cast; they are always open to trying new ideas! I have a clear idea of what I want because I’ve done so many Lucias and I have been planning this specific production for more than two years--but if the initial idea doesn’t work, we make something up that fits their bodies, their physique, their ideas of the character. Honestly, my favorite part of the process is this week. Everything is set, but now we’re revisiting it, finding new ways to make it more real, more visceral. I love it when performers won’t do something they don’t believe in 100%. Artists give stronger perfomances when their moves and gestures come from within, as opposed to when the director has imposed some idea from outside. How is your Seattle Lucia different than the Lucia you directed for Opera Cleveland earlier this year? The people are different. That’s where it all starts. The passion is the same; the violence and the mental breakdown of Lucia, hopefully that will be just as strong here. In fact, we have more time in Seattle to talk about the characters and what happens to them; and our dialogue is richer because we have two casts of very intelligent people. How would you characterize the differences between our two casts? Aleksandra Kurzak, who plays Lucia on Saturday and Wednesday nights in Seattle, plays the role a little more shy and innocent than Davinia Rodríguez (on Sundays and Fridays), whose portrayal of Lucia is a little less naïve, a little more sensual. Both can work. Alex is a comedian, she’s been doing a lot of funny buffo operas by Rossini and Donizetti, so it’s very easy for her to get this lightness into her portrayal. Her Lucia is a charming little girl, we get into this teenager world she has at the beginning. Her ghost story is scary--but she’s also fascinated and attracted by the ghost, like in movies about vampires. The trap that one can fall into with Lucia is to make her look like a spineless victim or a crazy person from the beginning; we’re interpreting it that she just has a very active imagination. Her imagination just keeps going further and further, as she gets backed up to the wall by all these people who make demands of her, and her grasp of reality loosens as we go. I’m always in love with my next project. Right now I love Gounod’s Faust, because I’m doing a new co-production, for Atlanta and Indiana University. But I’m definitely most attracted by verismo--my favorite composer is Puccini; I adore La bohème and Butterfly. 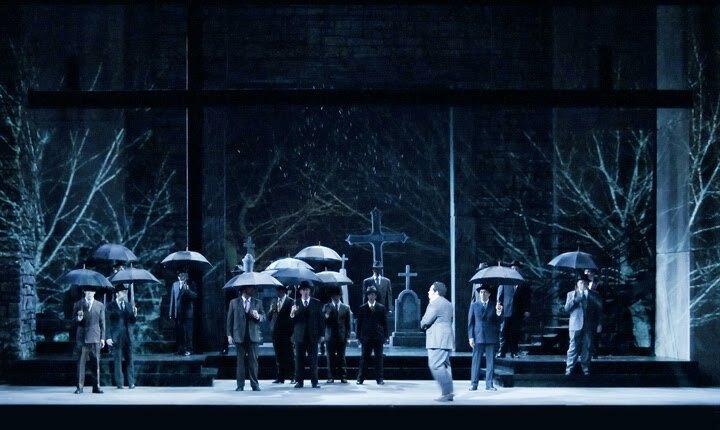 It’s interesting, Lucia starts as a bel canto opera, but in Act Two it becomes such a tight dramatic story that it suddenly feels like a verismo opera. You’ve been Assistant and Associate Director here at Seattle Opera in the past. What’s it like to come back, now as Director Director? It’s wonderful! Everybody already knows me and I feel this great warmth and support from everybody at the company, from Speight Jenkins down to the volunteers. Everybody involved wants this production to be the greatest experience possible. It’s just nice to come home, back to people who know me, who understand what I want and expect. It feels very natural, but that’s because Seattle Opera is my artistic home--the place I learned my craft. Thanks for a very interesting and informative interview!! 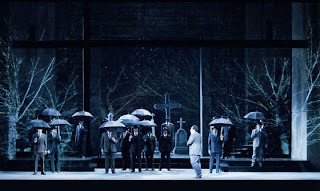 Toi, toi, toi for the Seattle "Lucia"!!!!!!!!!!!!!!!! !